We're open 8am - 4pm today. Call 763-789-4788 to speak with our staff. Welcome to All Metro Service Companies LLC. 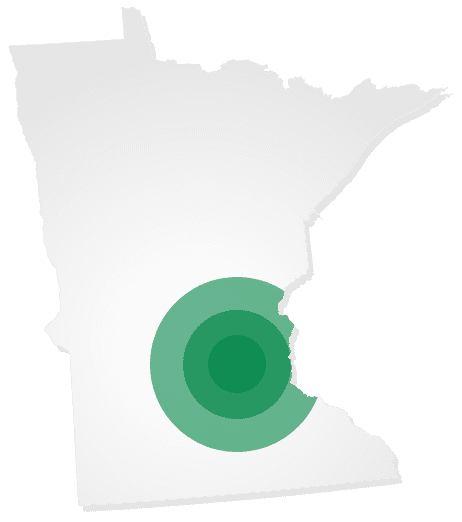 We offer complete Minneapolis lawn care and snow removal including lawn care, mowing, fertilization, weed control, aeration, de-thatching and more. Our lawn care and snow removal services are tailored to meet the needs of both residential and commercial customers. Whether you are looking to maintain your lawn or add curb appeal, All Metro Companies is here to help. Select a service below to learn more about our capabilities. Everything you need to ensure a healthy and beautiful lawn all season long. Keep your lawn looking green and healthy all season long with our 5-step application program. We offer a variety of landscaping services that will complement your home and yard. We offer a variety of irrigation services so your yard can stay healthy, giving you less work. Taking care of snow and ice removal from your driveways and sidewalks so you don't have to. Our sister company offers roofing, siding, gutters and windows for new and existing construction. We offer a variety of residential services and packages to fit your needs and budget. If the service you need is a one-time thing, we can do that too! Our white-glove commercial services ensure your property and patrons are show the utmost respect. We specialize in commercial property services! As a property manager you know the importance of having a first-rate exterior to represent your properties. Our professional services maintain your property with great care. Charles and his team provide fast and exceptional service. They made sure each aspect of our project was completed exactly to our specifications. We couldn’t be happier with our new landscaping and it has added the curb appeal we wanted to improve our home’s value. Project: Tear out and install new landscaping and retaining wall. Charlie did a great job with keeping me informed on my project and was diligent on performing the job. Thanks!! Responded to our needs on the snowiest day of the year. We’ve hired All Metro for all our duties here on out. Much thanks for all their concern. The guys were great and we will call for future services for sure. The only I didn’t like was having them in our yard on the weekend. We both would prefer the services be done during the week. I’ve had a very positive experience with All Metro so far this year. We are new customers as of April 2007. They’ve done a great job taking care of our landscaping… their communication and follow-up have been nothing short of fantastic! So far so good… I do expect this to be a good contract that I will renew. I don’t think they were anticipating the work load as my yard was a mess. They were there almost all day and the yard looks great. At our core we believe in responsibility and trust. We’ve made our home in Minnesota. We offer complete solutions for all property and lawns. Our staff training means we provide consistent results.